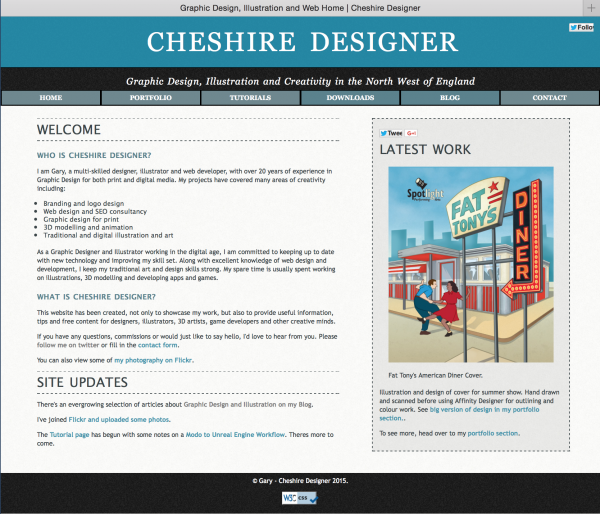 The current site was always a way of learning the basics of responsive web design. 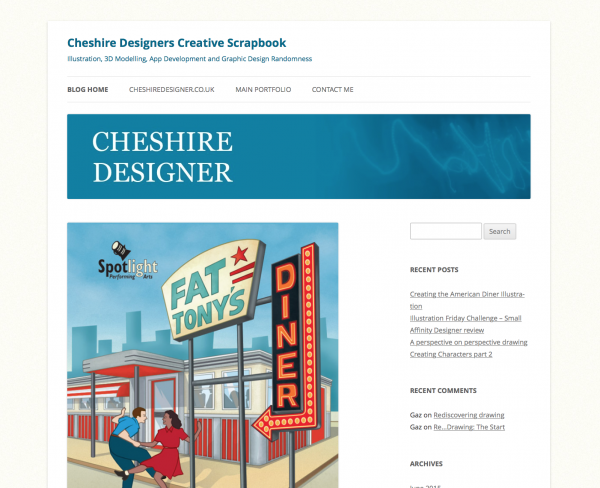 I wanted to create a site that looked neat, loaded quickly and was responsive. I think I succeeded fulfilling my initial brief and learnt a lot, but a timely comment from a friend made me realise a few things too. The site is functional but has no real personality. I haven’t really designed it. I’ve always known content is important and I had some plans that never worked out, so the site is lacking in content that will keep visitors coming. 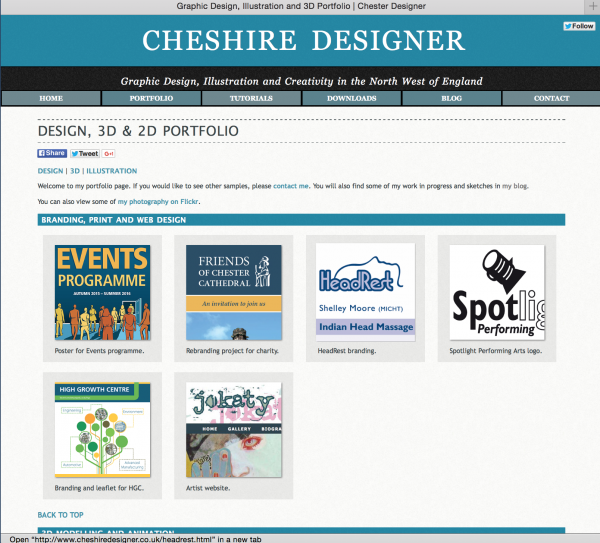 I have no brand and no consistancy across website, blog, social media or print output. Downloading and experimenting with Twitter Bootstrap. A friend recommended learning more about how this framework is used and it really helped my understanding of grid based design for the web. My favourite website is now Smashing Magazine and I have purchased most of their, highly informative, books (still more reading to do!). I have also studied the basics of User Experience Design (UX) to help in the planning stage of the new site. The learning phase is still ongoing, but it’s time to put it all in to practice now. For those of you from the future, here’s some screen shots of the current design. Ahh! Looking at the screenshots now makes me more motivated to do this! I have some ideas in my head already. Next time, I will talk about which tools and software I chose to use, and why. If you have any thoughts, (useful) criticisms or advice, please comment or contact me. Next Next post: Redesigning the Website. Part two.